That’s Embarrassing: Democrat VA Governor Ralph Northam- Is He the Blackface or the KKK Robe or Neither? 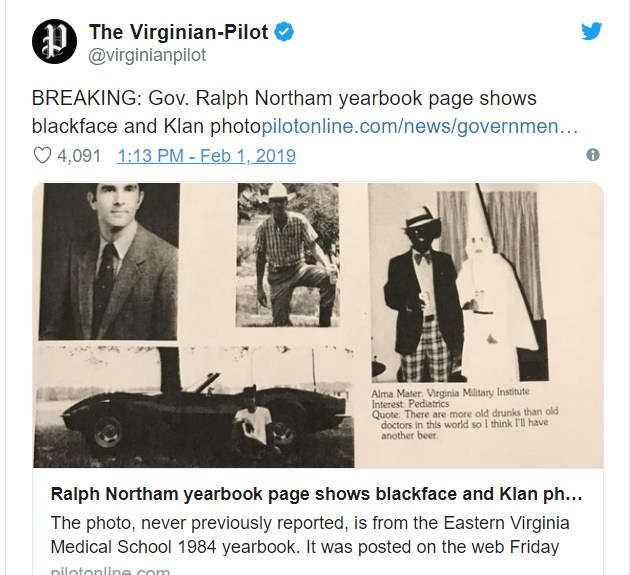 A photo in Democrat VA Ralph Northam’s 1984 Eastern Virginia Medical School yearbook shows two men, one in blackface and one in a KKK robe. Great optics. Especially after Northam’s recent remarks about allowing babies to die, even after they are born. 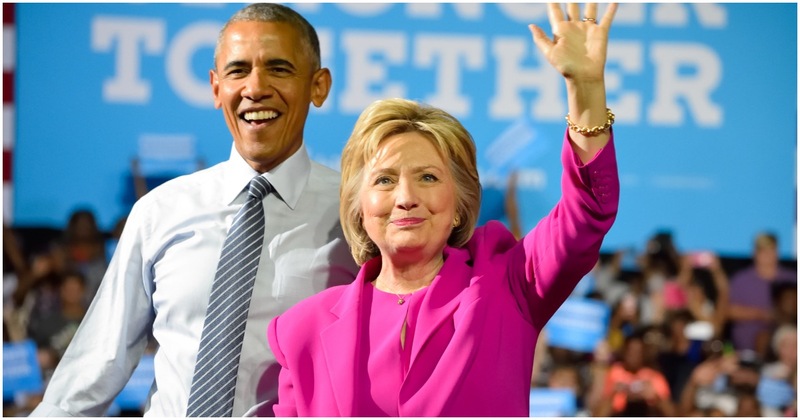 It is actually unclear whether either of the men in the photo are Gov Northam, but optics are optics. Interestingly, the news site Virginian-Pilot scrubbed the photo from their tweet, although it’s still on their article at pilotonline. One can imagine Governor Northam throwing seven kinds of a fit and yelling ‘That’s not me! That’s not me!’ It was someone. And it’s on his personal Medical school page. So he has some serious explaining to do. Republican lawmakers in Virginia called for an immediate explanation from Northam. 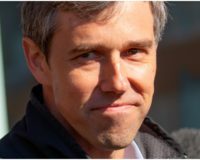 The photo was first published by Big League Politics, and confirmed by the Virginia Pilot, and later, the Washington Post. They found the photo in an Eastern Virginia Medical School yearbook. Virginia has a history with the Klan going back to the late 1800’s. And it was a Democrat group, not a Republican one. They still exist, though perhaps not as large numbers as before. At least we hope not.